the same time we are watching a creepy unidentifiable image on the screen. Slowly the focus on the image pulls out and we find that it’s a blinking eye. The focus keeps pulling back until we are looking at the face of a young latino woman. I, for one was completely engaged by this production and score. It was exciting to realize that everything was being created live for the video and the required amplification only added to the already edgy feel of this production. Except for two roles, the vocal sound is primarily female. Mikaela Bennett as Acquanetta gives an unflinching performance, laid emotionally bare by the camera that rarely leaves her face. She soars, yodels, growls and does it all superbly. Amelia Watkins, as Brainy Woman gives a bravura performance, intentionally over-emoting as if for a silent movie. Eliza Bagg as Ape, sings so sweetly you could mistake her character for an angel. Timur as Doctor and Matt Boehler as Director gave superbly energetic performances. The 8 member female choir from Trinity Wall Street were well used throughout and sang heroically, even while lying in strange broken positions covered in blood. We, the audience are made to feel like voyeurs in a twisted world that perpetually rotates around Acquanetta, catching glimpses, but never the full picture of her world she seems trapped in until the final coup de theatre when her whole world breaks open and we see what she sees. Fellow Travelers by composer Gregory Spears and librettist Greg Pierce is and emotionally engaging, highly melodic and thought provoking new opera. Prototype Festival is presenting the New York premiere in tandem with the John Jay College of Criminal Justice and the American Composers Orchestra. Director Kevin Newbury and Conductor George Manahan have more than ably guided their relative vocal or instrumental forces in service of a work relating the horrors of the Lavender Scare, sadly another almost forgotten period of shameful government condoned acts against LGBT peoples. I have been avidly awaiting the chance to see and hear this opera and was so pleased to find that it is well deserving of all the praise that has been showered on it since its world premiere at Cincinnati Opera. Tenor Aaron Blake as Timothy Laughlin, the young journalist who gets swept off his feet by the charming and dashing Hawkins Fuller, portrayed by Joseph Lattanzi is our guide into this vicious 1950’s government world where most everyone seems to be working for themselves first over the good of their country. Blake and Lattanzi blend their voices beautifully even as they bare their emotions and bodies. They give multi-layered performances and share a stage chemistry that made this reviewer blush. The only character that appears to have a true moral center though is Mary Johnson, Hawkins assistant in the State Department and his best friend. Devon Guthrie gives a warm, lyrical, yet fierce performance as Mary, who quickly befriends Timothy and does her best to steer him towards a safer path. Even as we root for a happy ending for Timothy and Hawkins, we know they live in a period of history that wouldn’t allow that to happen for them. I wish I could say that our country has come so much further forward in respecting the privacy and rights of all its citizens, but sadly that seems impossible as certain forces in our government try to roll us back to the truly not so “good old days” of the 1950’s. If you missed out on this New York production, then I would recommend that you book your tickets now for the Lyric Opera of Chicago’s new production of this trenchant and stunning 21st Century masterpiece. 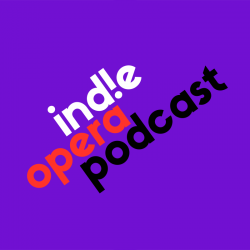 This is Chuck Sachs for Indie Opera Podcast.